Sometimes this blog is a place where I provide a genuine public service for you and others, by telling you everything you might need to know about a certain media item so that you never have to consume it yourself. And sometimes it is a place where I just tell you about something I liked recently, and urge you and others to check it out, and maybe I don’t reveal too much about it along the way to enable said checking-out. We’re doing the second thing today. 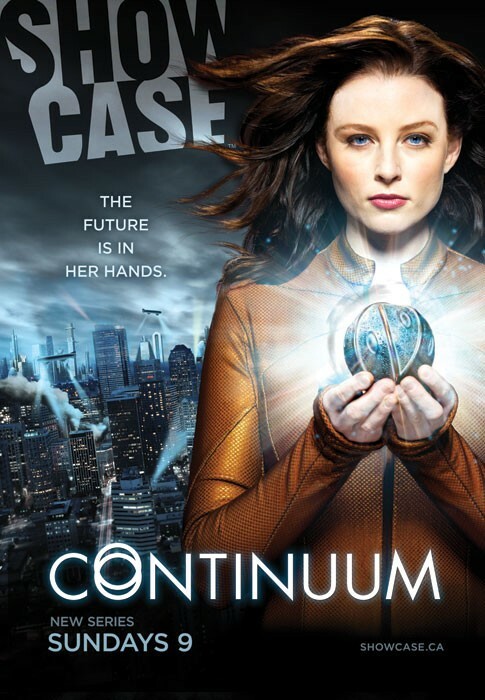 Continuum, Frank! A show worth checking out! Well, very specifically, a show worth checking out if (like me) you cut your sci-fi teeth on The X-Files and other genre shows that were shot in Canada in the 1990s. I don’t know what it is about the combination of grey skies, pine trees, and low-budget special effects that I find so charming, but any time I even sniff a hint of Vancouver or Toronto in a show’s exterior shots, I feel like I’ve come home. Get Told When There's New LTF! Liz Tells Frank LIVE: “Mad Max”! All of Them! COMING SOON! What is Liz Tells Frank? Frank's missed out on a lot of pop culture over the years. So sometimes, Liz tells him about something he's missed. Liz does this for free. Frank gets exactly what he pays for. New installments every Tuesday. Do you think there's something Liz should tell Frank about? Drop her an email!